The end of 2017 saw a very stable market in Turkey for Sultanas and a slowly but surely increasing market for Raisins. Pricing at the end of the December for STD 9 Sultanas was around the $1400 to $1475 per metric ton FOB Izmir with Thompson Select Raisins trading at anywhere from $2100 up to $2400 pmt FOB Izmir. 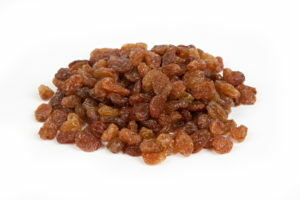 Since the start of 2018 prices have increased significantly upon high demand from the European markets and increased competition amongst packers to buy material locally to meet contracts already in place, Sultanas are now trading at $1650 to $1750 and Thompson Raisins at $2600 to $2800 FOB Izmir. The demand coming from European countries has been to see companies through until new crop in August/September and this increased demand has meant that packers are increasing their buying which has of course led to farmers pushing prices up locally. Thompson Raisin demand has also increased as buyers look for cheaper alternatives compared to Californian Raisins ($3150 – $3350 pmt C&F Felixstowe) where pricing continues to run away due to a decreased and damaged 2017 crop. Offers from California are now few and far between but those holding out for relief from Chilean or South Africa will be disappointed as both origins have increased their cost citing poor crops and increased demand due to California’s struggles. Chilean & South African new crop won’t hit the UK market until some point during April at it’s earliest. With prices in Turkey increasing day by day and seemingly unlikely to stop any time soon, our advice to customers is to only buy on a hand to mouth basis in the coming months. The next key period to determine where pricing will go over Q2 to Q4 will be March & April as the risk of frost during this period can either damage the vines or it doesn’t and we get another good crop come August, either pushing prices up even further or reigning them back as farmers look to clear inventory before new crop.